I love Halloween. You should know that about me. I also love reading. Dracula by Bram Stoker – Whether or not you’ve read the book, the story of Dracula is certainly familiar to almost anyone. Read about the vampire that inspired them all. The cool thing about this book is that it is told in the form of letters from several different characters. The Phantom of the Opera by Gaston Leroux – Another haunting read whose story is pervasive in modern culture. This novel tells the story of the ghost of the Paris Opera House and his obsessive attraction toward a young chorus girl. Fear, violence, love triangles – what’s not to love? And yes, this is the book that inspired one of the longest-running shows in theatre history. Rebecca by Daphne du Maurier – Released in 1938 and made into a movie by none other than Alfred Hitchcock, Rebecca has been dazzling audiences since its initial release. Hands down one of the best books I’ve ever read. I couldn’t put it down. Without spoiling anything, this book is about a young woman who marries a widower with a mysterious past. It. Is. Good. Jane Eyre by Charlotte Bronte – One of the most famous examples of the gothic romance. Jane Eyre is a young woman who falls in love with her employer… and finds that he has a skeleton in his closet (or perhaps in his attic, but I’ll say no more). If you read it in school, it’s worth a second look. The Scarlet Letter by Nathaniel Hawthorne – Okay, okay. This book is not necessarily scary, but parts of it are unnerving. Hester Prynne has an affair and is forced to wear a scarlet “A” on her chest so that everyone will know her crime. This novel is haunting, and I can’t explain why. The Shining by Stephen King – The King of Horror writes the King of all horror novels. Just read it, mmkay? Misery by Stephen King – Another masterpiece from the master himself. Man, do I love Stephen King. Even if you’ve seen the movie, you should probably read the book. Flowers in the Attic by V.C. Andrews – This book creeped me the eff out. A mother keeps her children locked up in an attic for over two years. Terrifying because it reveals the dark side of human nature. I couldn’t put this one down, either. 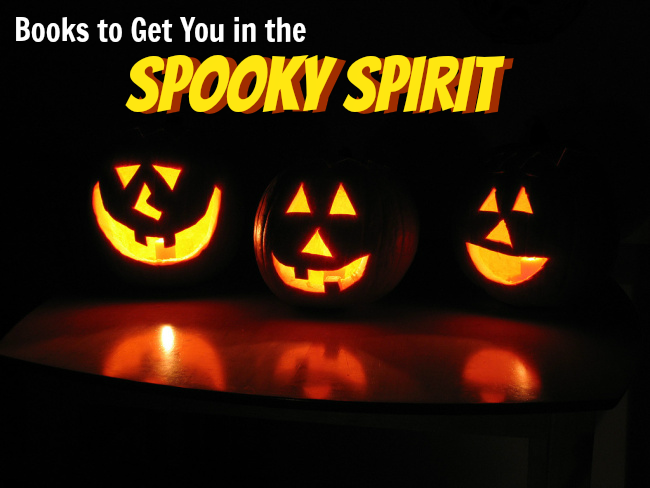 Of course, these are just some of my favorite scary reads for the scariest time of the year. I’m interested to see which of these books you’ve read and enjoyed. What do you like to read around Halloween? What books did I miss? Jane Eyre is one of my favorite books of all time! these are great book ideas! I need something scary but not toooo frightening to read so maybe I’ll stick with Jane Eyre! Check out Rebecca! It’s similar to Jane Eyre – not too scary. Frankenstein and Dracula are DEFINITELY perfect for Halloween. I read them both for AP Literature in high school and I want to reread them now, sooo good! I have seen the movie based on Phantom of the opera and I just loved it!! You should definitely read the novel!